free rug pattern | A creative life tangled up in lovely yarn! It’s the time on the year when spring and summer is all that matters. Spring is always late to arrive on my shores in Norway, so I went to England to say hello to daffodils and sprouting leafs! 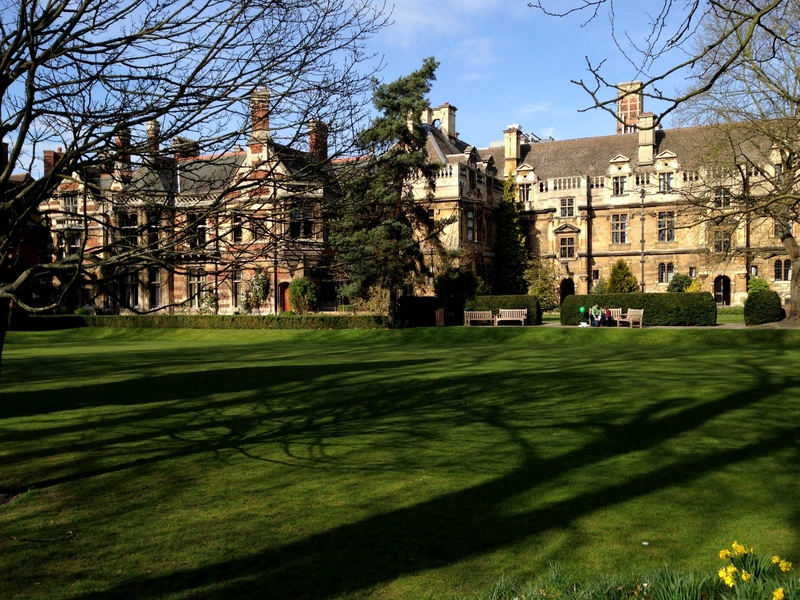 Last weekend was really lovely and I went to Cambridge. It’s such an inspiring place! The end of this week was a bit colder and rainy, as spring is always a bit unpredictable. I could not spend all day outside and what better way to spend the time indoor than to knit! As I am not into knitting sweaters at this time of the year – winter is history! Instead I did a really quick rug. 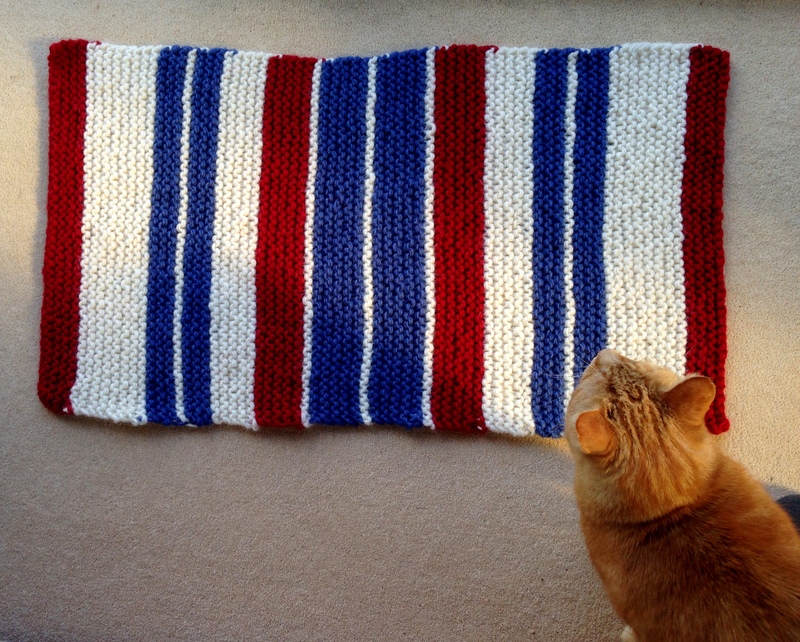 After to evenings of knitting I had a beautiful thick rug that can be used for many different purposes. As Saturday morning was sunny but cold I covered the garden chair with my little rug and sat outside with my morning tea. Tonight the rug will be on the floor in front of my bed.